sometimes I had an error saying " Path not Found " and so, since I had a saved show I didnt bother, since when i load it, everything was alright again. Everytime i try to add fixtures i get the message for example "Plastic LED.fxt : Path not found: "C:/FreeStyler/Fixtures/"
Mostly it happens with custome made fixtures, but also with premade like the sharpys. to be sure i didnt messed up the fixtures i upload all my custome mades. If there is someone who had a similiar problem, or knows whats going on, im in a little bit in trouble. I am running 3.6.49. 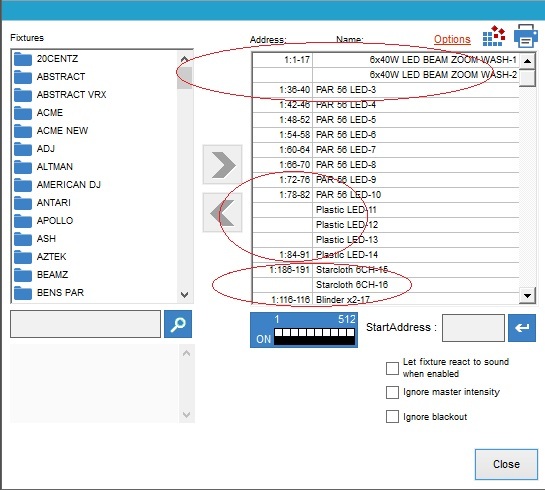 I downloaded and Imported your 4 fixture definitions and then added them to the Freestyler workspace. I did not encounter the Path Not Found issue. The fixtures do not have a picture. Is this a possible source of your issue? 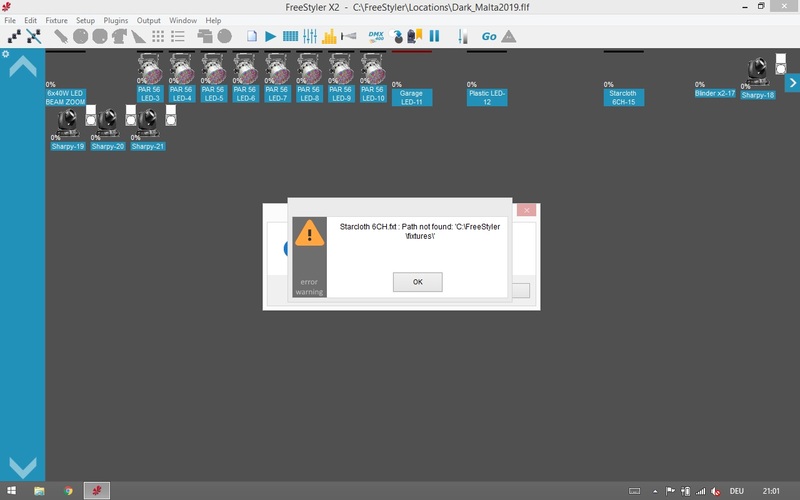 In the Freestyler directory you should find a file named freestyler.ini. Open and look for the lines starting with the text remember (ex. remember1 and remember1_file). See if these are correct - if not then delete these lines and save the file. Copy your Chases, Fixtures, Locations and Que folder to a safe location, uninstall, install the latest version, add/merge the folders and you should be alright. Had this problem with older versions where somehow paths were messing up for some reason. Even with the files their selves still available on the disks.